I haven’t squeezed in much time in front of the sewing machine recently. 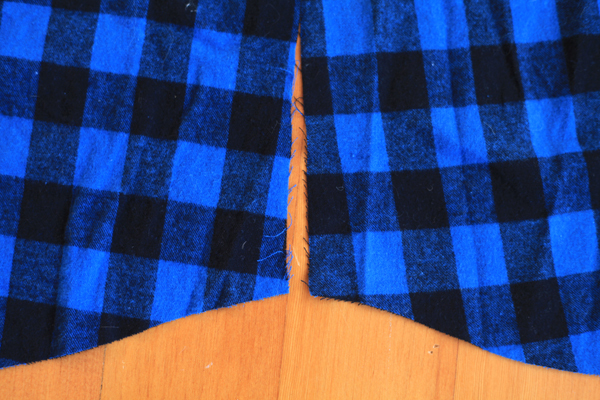 To be honest, I got a little discouraged after spending so long before the holidays meticulously cutting out my husband’s plaid shirt only to realize as I was sewing it together that one of the side seams doesn’t match. All of the other vertical seams do match, including the all-important front center seam across the button placket, which I should have taken as a small triumph. But, their matchy-matchiness proves that, despite all of my care, I managed to cut out the shirt so that there’s a subtle spiral to the horizontal plaid line that starts and finishes at that one poor unmatched seam. And, the bias yoke looks a bit off kilter. Somehow I must have had my grain line ever so slightly off. My husband won’t notice or care, but it hurts that I won’t be able to give him a perfect shirt. Plus, I’m supposed to be learning to sew well, right? When I first realized what had happened, there was a moment when I wondered why I even sew, why I even fuss with making him nice shirts when he has a closet full of fancy wrinkle-free shirts already. That thought led me to this New York Times article. In a nutshell, to keep fabric from wrinkling when it’s washed, it’s first bathed in a resin that locks its fibers in place (yay chemistry!). The downside is that that resin also happens to release a not-so-friendly compound called formaldehyde (boo chemistry). Have you heard of formaldehyde? It’s a simple compound made up of two hydrogens bound to a carbon that’s double-bonded to an oxygen. Even if you haven’t taken any chemistry or have chosen to forget all of the chemistry you have taken, I’m sure you’ve heard of hydrogen, carbon, and oxygen. According to wiki, formaldehyde is used to embalm and is also often found in nail hardeners and nail polish. It acts as an adhesive in plywood and carpet. It gives paper products such as tissues, napkins, and paper towels their resiliency to tearing when wet. And, it’s a known human carcinogen. If you’re a fan of wrinkle-free shirts, the internet just seems to suggest that you wash brand-new shirts before wearing them. But, according to this fact sheet, if you notice irritation in your eyes or nose or a rash on your skin when you’re wearing wrinkle-free garments, then perhaps you might be more sensitive to formaldehyde or you might have ended up with an article of clothing that’s giving off a bit more formaldehyde than it should. Maybe I am glad that I sew?! Previous Post Sewing Gifts for the Holidays: To Infinity and Beyond! Next Post Tuesdays with Claire: Remember Vogue 8333? That’s really interesting. Thanks for sharing this. Oh, that must have been so frustrating!! Once you get used to seeing it on him I hope you’ll be able to forget the minor problem a little. Interesting tidbit about the formaldehyde. That stuff is everywhere! A strip of bias fabric sewn down over the side seams and across the yoke seam would distract the eye from seeing that the checks do not match and might also be a new design feature. Love your blog and pix of you and your baby. EEP. i’ve wondered about some of the mystery yardage i press furiously and with much steam… what’s in that steam? and whatever “it” is, did i wash it all out? Wow. Thanks for the info, Amy. It might be the reason why my husband-to-be is always itchy. The same treatment is done to some bed sheets as well. I’ll keep an eye on avoiding those and keep to my resolution of making him shirts. I just got done reading about all the chemicals that go into growing cotton and that is in bedding. The article mentioned non wrinkle sheets and yep. Oh man, I hear ya on the mismatched side seam. That happened to me once. I could not for the life of me get the piece to cut out right. I think the plaid was off, I made the shirt anyways. I don’t think about now that some time has gone by. Wow! I’ve actually been wondering this a bit, too, and frustrated that all my home-made shirts need so much ironing! I guess now I can feel more justified in my search for fabrics whose natural weave or fiber is wrinkle resistant. If the front matches on a plaid flannel shirt I say the rest is OK. I made a flannel shirt last year and the fabric was twisted, I think because it is a soft fabric when they put it on the bolt it forms to whatever twist is happening there and it is virtually impossible to get out. So I figure match the front and let the side be whatever it wants, nobody is walking around with their arms up saying check my underarm matching 🙂 great color, go ahead and finish it ! I had trouble with formaldehyde after high school biology. The ubiquity of wrinkle-free finishes has made RTW highly problematic for many people. I have a BS in Chem., but switched to Physics for my PhD to lessen my exposure to irritating chemicals. ANYWAY, he will never notice the non-matched side seams. His arms will cover them most of the time. The front matters far more so YAY! I keep saying I’m going to make my husband something and keep chickening out. Boo! Formaldehyde? EW! I’d always assumed that they were wrinkle-free because of the poly content. Awwww man! I’m sure that that was so frustrating! Maybe you can add some bias tape made from your flannel on the side seams and just say you did it on purpose? Lol I think though that you did SEW WELL on the garment. We don’t have to be perfect to do well 😉 lol but I totally get your frustration. I hope you get it sorted! I have itchy skin on and off and certain things set it off. Recently I bought a few long sleeved tshirt to wear under my handknits and they drove my skin mad. I had to wash them a few times til they were comfortable to my skin. I researched what was put in fibres I found out about formaldehyde etc. Scarey stuff. There is definitely a price to pay for the modern perks, isn’t there 🙂 I bet your husband’s shirt will turn out great-even if it’s not 100% perfect. Perfect is boring anyway! Ohhh I know formaldehyde too well from my studies. I always use a lot of protection clothing while working with… Stuff. We have special masks and more than one layer of gloves. I hate wrinkles. This is why I LOVE fabric that isn’t made of 100%natural fibers. Yes. Polyblends! I can’t stand feeling wrinkly after a few hours. Never wear linen, and rarely make anything that is 100% cotton. Do you have more of this flannel to cut again? Nobody will ever notice the side seams. But I understand you are frustrated by this and convincing you it isn’t important is not how I roll..
Oh wow, thanks for the info! I will feel less grumbly when ironing my me-made clothes from now on…and it makes me want to sew more for my girls, I don’t like the thought of them being exposed to chemicals on their clothes! Years ago, I was one of the people who helped develop performance standards for “wrinkle-free” 100% cotton dress shirts and khakis. So first, the ones with resin are the 100% cotton (or other cellulosic fiber). There are wrinkle free and wrinkle resistant items that are resin free. This was the case with the original 1970’s era no-iron shirts which used polyester 40% or more, to achieve the no iron status. Since the resin only binds to cellulose, no one puts it on a polyester, nylon, acrylic, etc. blend fabric. In addition to the formaldehyde, there are other problems with badly or improperly made WF items. Too much resin makes it stiff as a board and brittle. (This is a greater cause of irritation to skin.) It can break where it bends (elbows and knees). It will also abrade (wear a hole) quickly at these same places. Not enough resin or incompletely cured resin and it is too likely to wrinkle. Generally, we found there was no detectable formaldehyde in the well made products. But a lot of products don’t control the process that well. I never wore those, or any khakis or that kind of dress shirt, for that matter. I like soft fabrics. Scary stuff! I had no idea. Yeah I’m definitely glad the last several shirts I “bought” were in fabric form so I could sew them myself. I remember reading about that process before – it’s more than a little frightening. 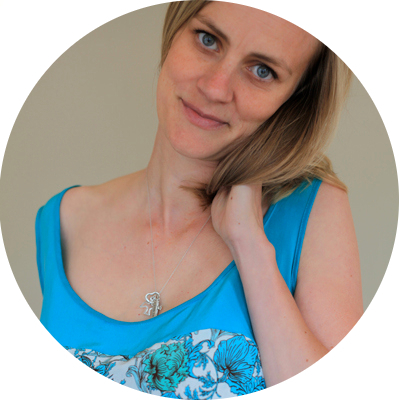 Especially as our skin is our bodies biggest organ and super absorbent… having that kind of fabric up against you for so long – one can only wonder what our body takes on board. Formaldehyde is not something I want to be coming into contact with, even in small amounts! I had the same snafu happen last year when sewing a plaid peplum blouse. Ugh….. I was ready to fly to Nashville and get Lladybird to help me! As far as the formaldehyde issue is concerned – I had no idea. Goodness, I have one wrinkle free shirt that I wear which will certainly be my one and only after reading your post. Thanks. That makes so much sense now! My husband used to have a few work shirts that always made him break out and we could never figure out why. Good thing he tossed them! We joked that my husband had developed an STD – a shirt triggered dermatitis. Horrible and persistant rash all over his torso, arms and legs (wrinkle free pants). The problem is, though, now, it’s hard to find non-treated clothing!